For years, we’ve heard that buying American-made cars is better for the U.S. economy, but have you ever thought about the small things you buy and where they’re made? Most of us don’t. We complain about cheap toys made in Taiwan or China right before we go out and buy another one, but that’s about as much thought as most of us put into it. A few weeks ago, I was waiting for something to come on on ABC. (I can’t imagine what, because I don’t watch much TV. Apparently, I thought it was important enough to tune in early. Not important enough to remember, though.) While waiting, I saw Diane Sawyer doing a story on American-made products. ABC had recruited a family and the object was to find items in the house that were made in the U.S.A. To their shock, they couldn’t find anything. I think after removing everything from the house that was manufactured in a foreign country, there were only two items left in the entire house. That was pretty surprising. And this family thought they had been buying American. They just never really looked. Why does it matter? According to ABC World News, “In 1960, foreign goods made up just 8 percent of Americans’ purchases. Today, nearly 60 percent of everything we buy is made overseas.” Every dollar we spend on overseas products is one less dollar in our country. Sounds obvious, doesn’t it? We just don’t think about it. We’re all just waiting for the government to enact or change or rescind trade agreements. But we have the power. We vote with our money. According to ABC, economists say that if we spent just 1% (that’s just 18 cents a day) more on American-made products, it would create 200,000 jobs immediately. Maybe instead of relying on the government to solve everything, we could step up and do something ourselves. 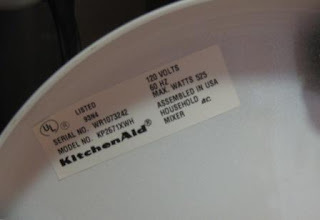 Where to find American-made products – ABC has compiled a great list of sites, including the StillMadeInUSA.com site I used to find out about my appliances. This entry was posted in Life and tagged buying local, economy by Amanda Beaty. Bookmark the permalink.